Motorola Moto G (Gen 3) smartphone was launched in July 2015. The phone comes with a 5.00-inch touchscreen display with a resolution of 720x1280 pixels at a pixel density of 294 pixels per inch (ppi). 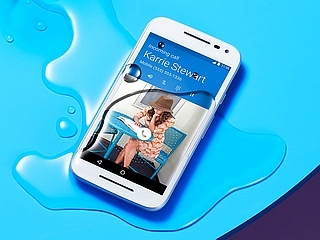 Motorola Moto G (Gen 3) is powered by a 1.4GHz quad-core Qualcomm Snapdragon 410 processor. It comes with 1GB of RAM. The Motorola Moto G (Gen 3) runs Android 5.1.1 and is powered by a 2,470mAh non-removable battery. As far as the cameras are concerned, the Motorola Moto G (Gen 3) on the rear packs 13-megapixel camera. It sports a 5-megapixel camera on the front for selfies. 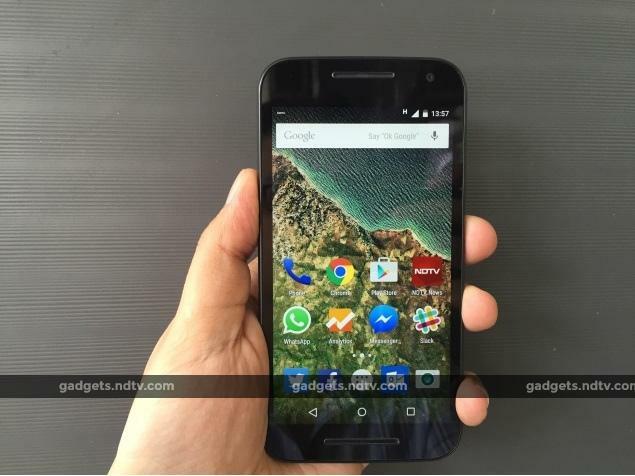 Motorola Moto G (Gen 3) based on Android 5.1.1 and packs 8GB of inbuilt storage that can be expanded via microSD card (up to 32GB). The Motorola Moto G (Gen 3) is a dual-SIM (GSM and GSM) smartphone that accepts Micro-SIM and Micro-SIM cards. Connectivity options on the Motorola Moto G (Gen 3) include Wi-Fi 802.11 b/g/n, GPS, Bluetooth v4.00, USB OTG, FM radio, 3G, and 4G (with support for Band 40 used by some LTE networks in India). Sensors on the phone include accelerometer, ambient light sensor, and proximity sensor. 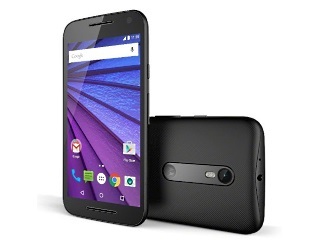 The Motorola Moto G (Gen 3) measures 142.10 x 72.40 x 11.60mm (height x width x thickness) and weighs 155.00 grams. It was launched in Black and White colours. As of 23rd April 2019, Motorola Moto G (Gen 3) price in India starts at Rs. 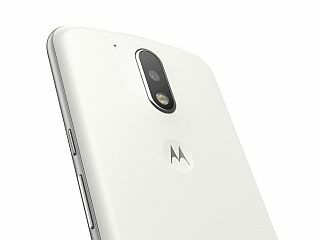 6,290.
the best mobile motorola moto g 3rd genration,this mobile qulity and fiture very nice.camera rear 13mp,front 5mp, battery 2470mah,2gb RAM, interna 16 gb memory,gorilla glass,water resistance,5inch hd display with corning....etc. My device wont recharge and the authorised service centre tells me that i need to replace my motherboard. But after one long month i am still awaiting a call from them. According to the service centre the motherboard took 16 days to get delivered. but whats appalling is that it is taking over a month to repair and replace the motherboard when it has already been delivered. I have learnt my lesson and would recommend anybody willing to buy a mobile to choose from the companies that have good after sales service like samsung, nokia, sony. Because electronics gadgets do not come with a guarrantee even if it may be of a company like motorola, and when such a hardware fault occurs, you will be harrassed like anything and will end up nowhere. Overall it is a very good phone, no bloated softwares, good spectification( 2GB/16GB model) in this price range, camera quality is good, gestures controls are awesome. pixel density should have been better, but it's not bad as such. i will recommend this phone to users who are looking for phone which has good build quality, strong software specs. Moto G4 vs Moto G4 Plus vs Moto G (Gen 3): What's the Difference?